Yay its Friday and I am ready for the weekend! 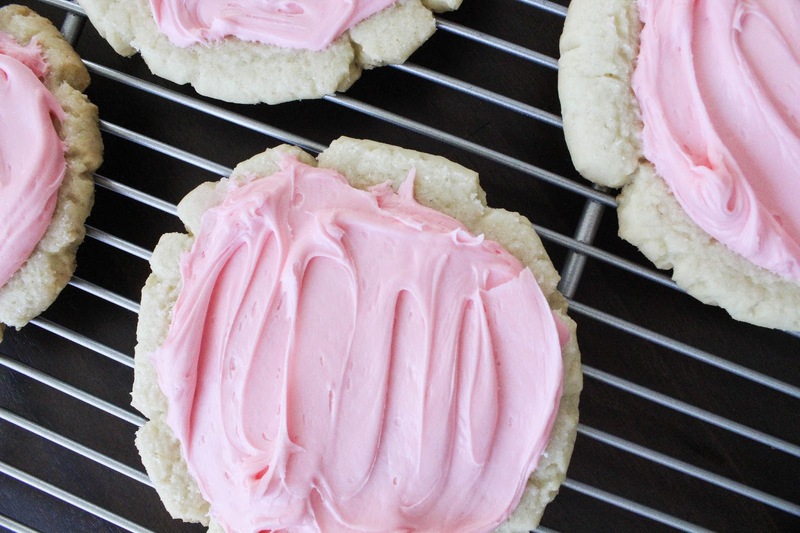 And if you do anything this weekend let it be making these cookies! I (Adie too) cannot stop eating them! I am forever hooked and just might never eat another chocolate chip cookie, they are that good! 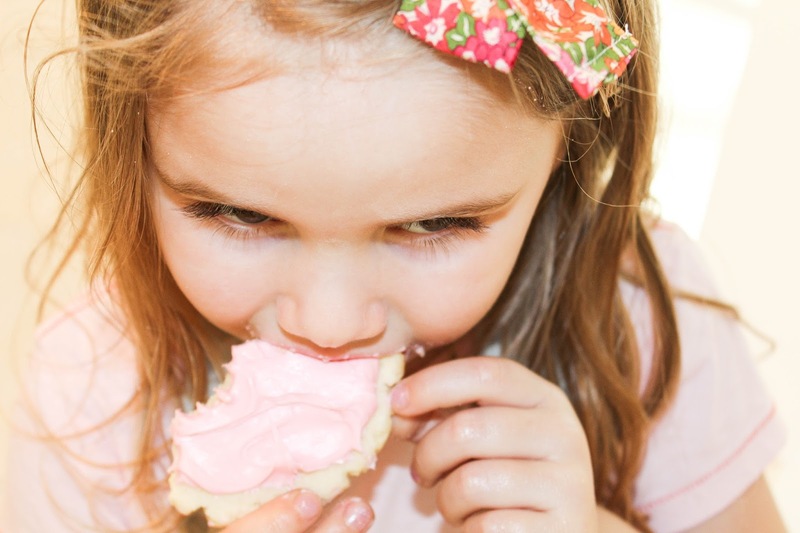 I lived in Utah for eight years and never once had a swig cookie and now I know why! I would have been there every day maybe twice a day depending on how good the little people were that day. You probably have everything you need in your cupboard (I needed more flour and cream of tarter which expired two years ago). 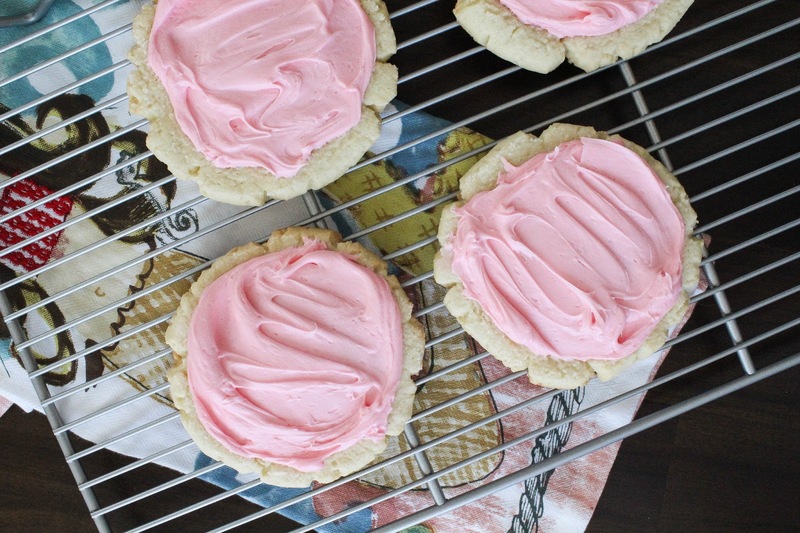 I grabbed strawberry frosting since let's be honest I have two little people and making cookies is already messy so I took the easy route for frosting and I am not complaining. 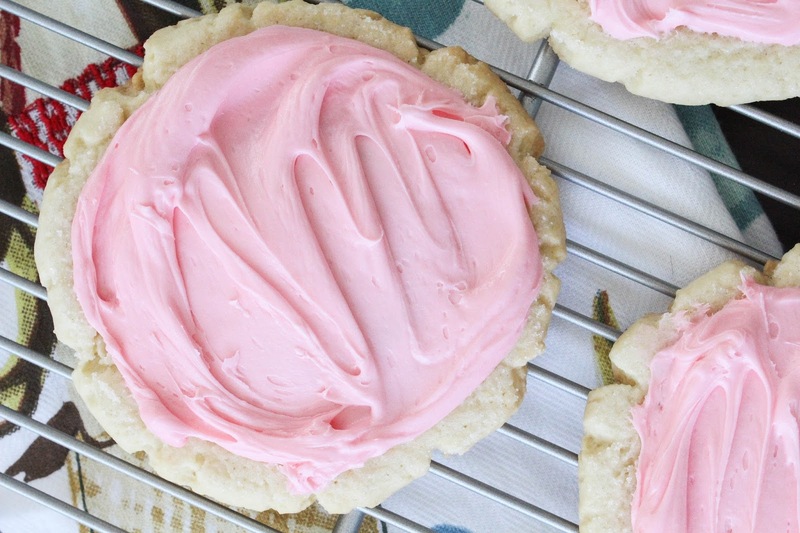 I definitely think this will be my new go to cookie for everything. Neighbors, friends, the guy at Jack in the Box who always gives me extra ice in my drink just like I ask. (Nothing is worse than no ice or two cubes, a forever battle Eric and I argue). This afternoon we put Aden in his high chair, he's learning to eat those little puffs for babies so the five thousand on the floor didn't matter. Adie loves to help mix the dough and she even insisted on rolling them into almost round balls so we could press them before putting them in the oven. 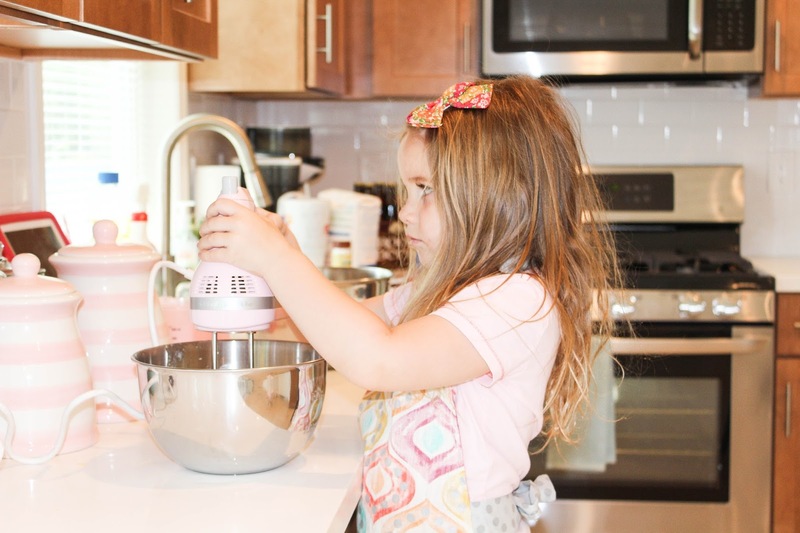 Seriously the easiest recipe and cookie making if you want to bake with your little toddlers. Adie thinks this is breakfast, lunch and dinner ... pretty hard to disagree with her. 2. In a separate bowl, combine dry ingredients and slowly add to butter mixture. 3. Mix all ingredients until they are well combined, dough should not be sticky. 4. Roll dough inti 1.5 inch balls (spoon full) and place on a greased cookie sheet. 5. To get cracked edges, mix 1/4 cup sugar and a pinch of salt in a separate bowl. Place the bottom of glass in mixture, then press it onto your ball of dough. 6. Press cookies until they are a bit wider than the glass and bake at 350 degrees for 8-10 minutes. 7. Let cool and place in refrigerator. 8. 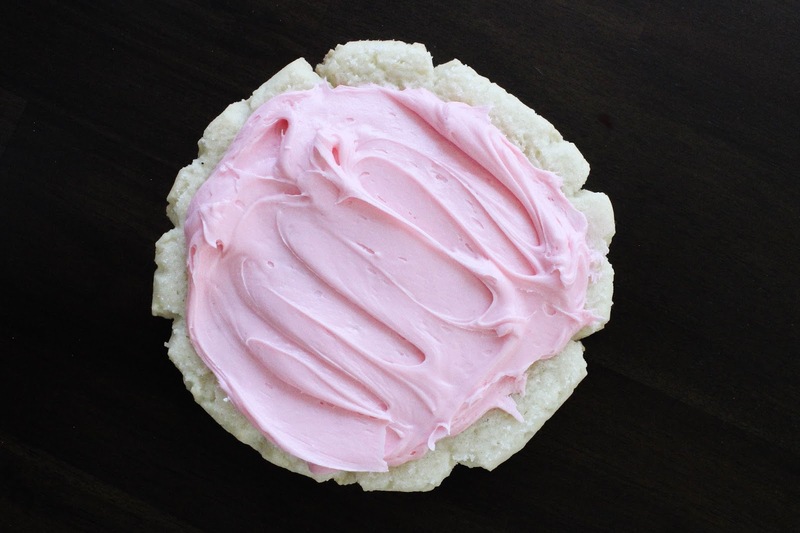 Spread frosting on cookies right before serving. 9. Eat all of them before anyone else ;) they are that good! 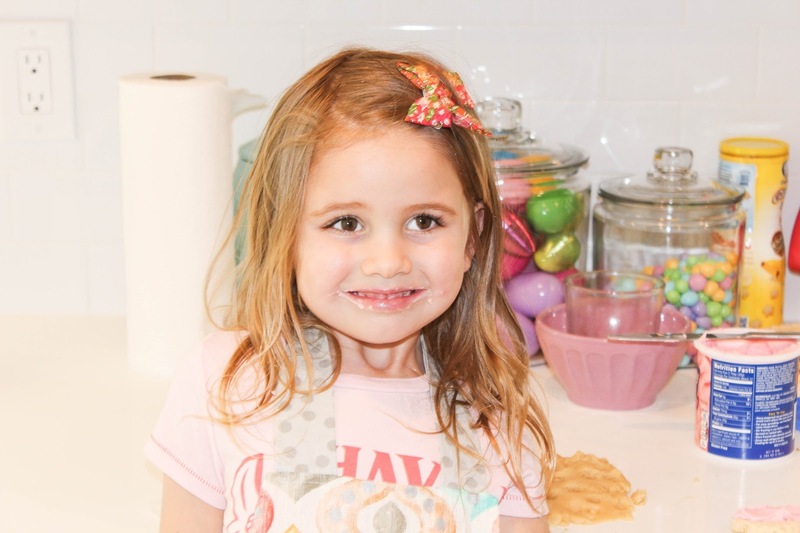 Hope you guys have a fun weekend and eat lots of cookies!